Are weird shading artifacts normal with the subdivision modifier in edit mode? I've been trying to create a character that I might like to use for a game in the future. 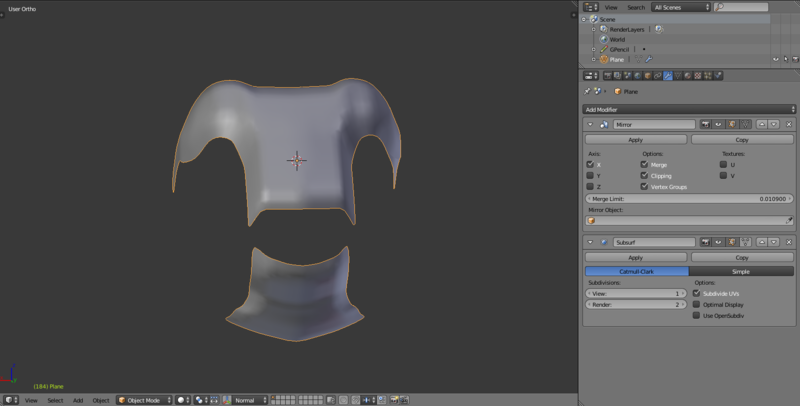 I'm pretty new to blender and these "artifacts" (unsure if that's what they are) are slowing me down. 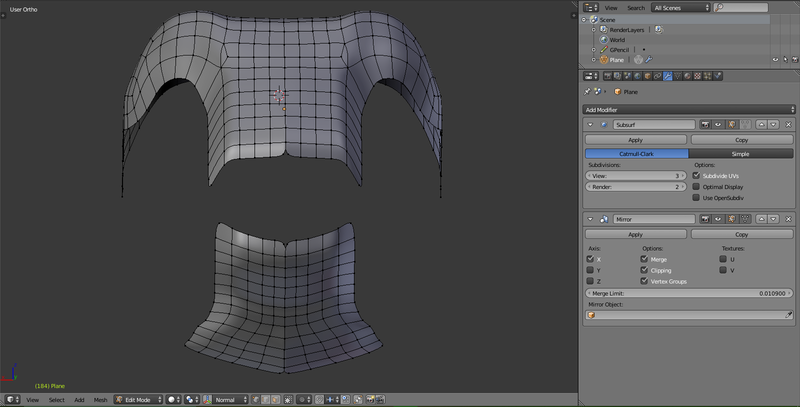 Any experienced blenderers out there that think they might have the solution to my problem? PS/Side question: Should I just go ahead and continue making the model of my character, no matter the mistakes/ngons there might be, and then just go over it afterwards with some nice retopology afterwards? 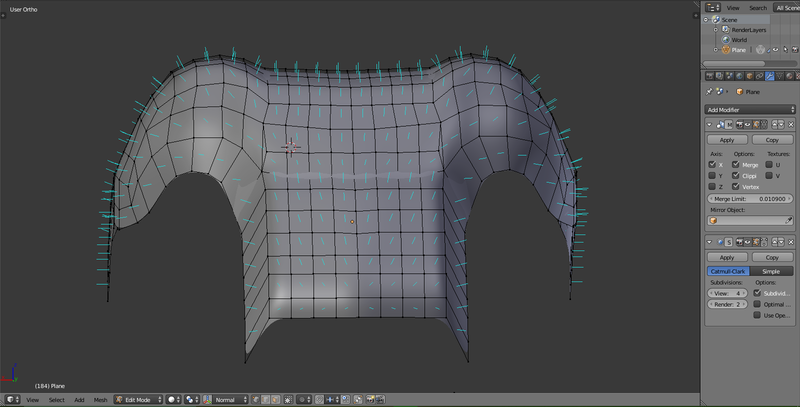 That "artifact" is just the subdivided mesh "coming out" from the cage of the un-subdivided mesh. Nothing to worry about. 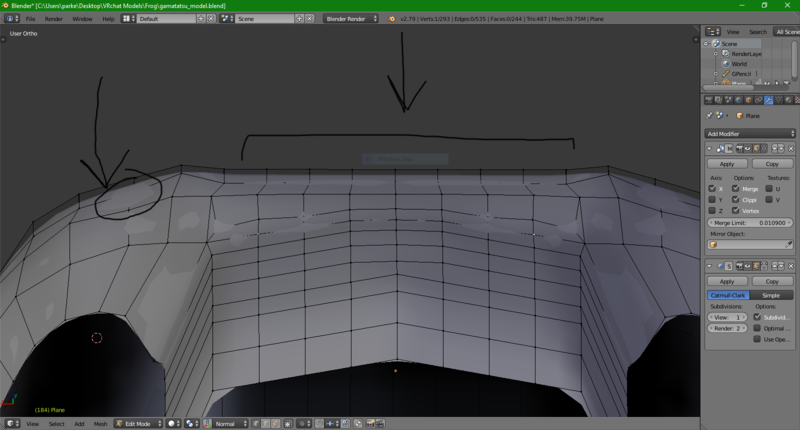 This effect doesn't appear in Object Mode since, in that mode, you don't see the underlying un-subdivided geometry. Not the answer you're looking for? Browse other questions tagged modeling mirror subdivision-surface or ask your own question.